Most schools broke up today for the long Easter holidays and we imagine there will be many happy children looking forward to the break as well as some fun and tasty offerings from the Easter Bunny. While the break might seem a really long one for the little ones those of us who have to make sure that they are suitably suited and booted in time for the new term know that it actually goes very quickly. Why all shoes seem to be scuffed beyond repair or suddenly too small, water bottles disappear and uniform needs replacing when there are only a few months until the summer holiday we haven't the answer for. What is very clear though is that if you have items to replace now is the time so that you have everything that you need before the new term starts. Replacing uniform at this point in the school term isn't ideal however items do get lost, worn down or are suddenly too small. If you are ordering online from official uniform shops the time to do this is now as often it takes a little longer for these items to arrive than it would if buying from some online stores and you don't want to go back to school and still be waiting for a delivery. Buying new school shoes is often a chore however it is one best undertaken early on in the holiday as towards the end of the fortnight the shoe shops are very busy and fitting appointments are almost all gone. 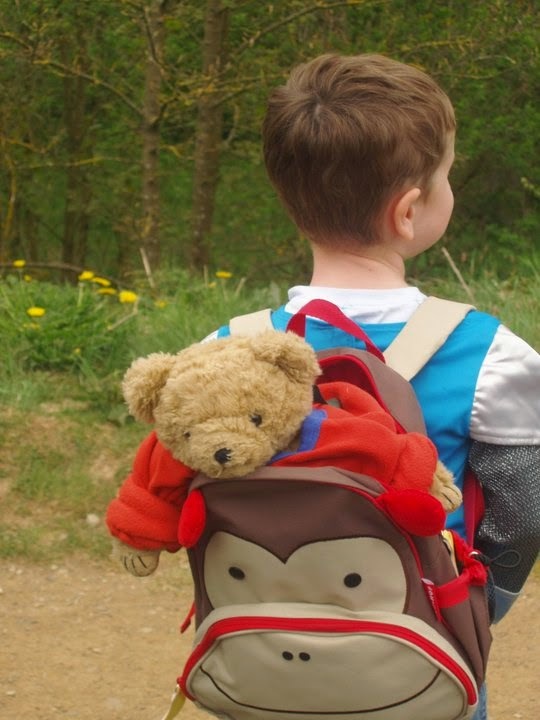 A lost or damaged bag or rucksack at this point in the school term is a bind however if you buy a decent quality bag now for school or nursery you won't have to buy another for some time. This means that you may cross one more items off the back to school after summer list. The applies to swimming bags and PE bags of course. Many children need not only packed lunch boxes but also a bottle for juice and one for water when at nursery or at school. We have a number of water bottles, some with straws for younger children and others without, all in lovely bright and easy to recognise colours and patterns and well as lunch boxes, cutlery and more so that your little ones have everything they need. What's more all our eating items have to pass a cuteness test before being added to the website so you know that whatever you choose will be suitably adorable. Wear and tear is normal as are items being outgrown but lost pieces of uniform and lunch time accessories are just annoying. Make sure that your child's items are return back to them by using name tags and labels on everything from water bottles to school shoes. Once you've got everything ready and organised for going back to school or nursery (etc) all you have to worry about is where to hide the Easter Eggs and how to make sure that you fit all the fun activities you've got planned into two short weeks! Have a fabulous break, whatever you have planned.